The Seat Motor is a part of your car's power seat. It is usually tucked under your car-seat between the seat tracks. This motor is driven by the car's battery and is wired to the seat and the seat adjuster switch. The seat switch allows the driver or passenger to adjust the front/rear position of the seat, lumbar support and seat height. If the seat motor fails, the power seat mechanism will not work. If your car seat fails to respond to the seat adjustment controls or if you hear a grinding/clicking noise when you adjust your seat, it may be an indication of a failed seat motor. 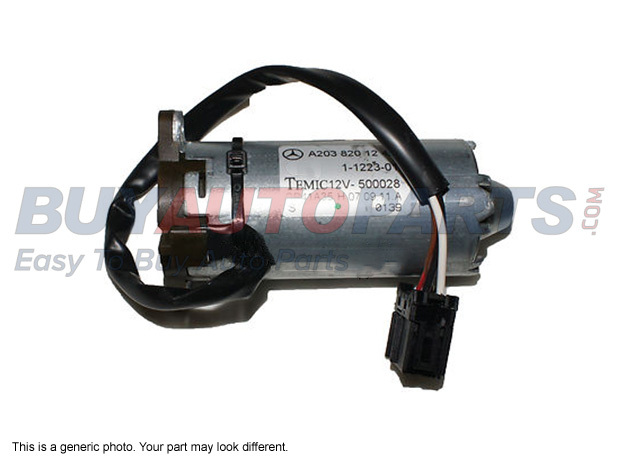 If you are looking to replace your defective motor, you have come to the right place. At Buy Auto Parts we stock a wide variety of seat motors for every car make and model. We have genuine OEM replacements and premium aftermarket parts. All our car parts are thoroughly tested and come with a warranty. To view the parts that fit your vehicle, select the right year, make and model of your car on our online catalog. At Buy Auto Parts you will find high-quality seat motors at unbeatable prices, and free shipping. If you have any questions about our car parts, call our toll-free support line 1-888-907-7225 or email us at [email protected].